Welcome to Peggy Ann's Post ~ Come on in and sit awhile! Okay folks, I'm trying my hand at setting up a challenge! Has to be a first time for everything, right? I have found that I love reading Scottish literature and am looking forward to spending some time there in the future. 2014 will be a decisive year for the Scots, as they are voting on Independence from Britain next year. What better way to celebrate than a reading challenge! 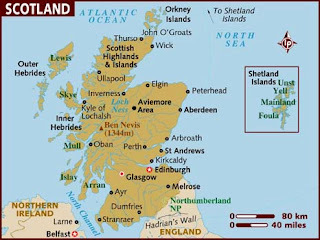 Here are a few links to start you on your way finding Scottish writers or settings! Don't forget the new authors James Oswald and A.D. Scott, they didn't seem to make any of these list! Don't forget you can get 'vintage' authors books for free often times in ebook form! I'm going to be brave (but not too brave) and sign up for The Hebridean - 9 to12 books. This sounds like a wonderful challenge! Good luck with it and I look forward to seeing what you read. Thanks, Cath. There are so many great Scottish writers, it's just begging to be done! I'm in! Couldn't resist in the end... not that I tried all that hard. LOL. What a great way to mark 2014, as you say our decisive year. But Peggy you're a fearty!! You can manage Ben Nevis nae bother - that's what I'm aiming for. What an incentive! I'll give you vegetarian haggis anyway. I'm quite interested in this, and will think about it. Good for you for offering the challenge! Hope you decide to join in, Nan! Peggy, this will fit in well with my TBR Challenge for next year as I have several unread books by Scottish authors, I'll be aiming at the Hebridean level. Great idea for a challenge! So glad your joining in Margaret! I love Edinburgh and The Isle of Skye. I've jumped on board. (also linked in on Goodreads) Good luck sponsoring your first challenge! Oh, and Peggy Ann--if you haven't already, you should advertise your challenge on A Novel Challenge. There's a link on the sidebar that will take you to a form to fill out. I enjoyed looking over the links. I couldn't name a Scottish author I've read, but after looking, I've read far more than I realized. I might join the challenge and pick someone new, though. I'm finding Scottish writers to be quite prolific, Kelly. We are reading them and not even realizing they are from Scotland. I especially love the 'new' genre, Scottish Noir or Tartan Noir as they call it. All right. I said less challenges this year, and I mean it, but I cannot pass this up. I will be signing up soon. Goodie! I'm so glad you are! So glad to have you, JoAnne! Your challenge looks fun too. I'll be signing up! This sounds wonderful! Even though I really didn't do all that well with my reading challenges in 2013, I think I need to try this one. I'll get a post up on my blog and come back and sign up. Thanks so much for hosting! Glad your joining, Joy! There are so many wonderful Scottish writers, new and old, I don't think it will be a hard one to fulfill at all! What fun - being of Scottish heritage, I can't resist. Although I'm going in easy, just a keek! Lisa, Welcome! Just a keek could turn into Ben Nevis when you see how many great Scottish writers there are! Thanks, Col! Glad to have you onboard. I'm onboard now! Just posted on my my blog - Ben Nevis here I come! Well, as I live there, it would be rude of me not to join in. Going for the Hebridean. Lizzy, I'm so happy you you did join in! Looking forward to getting to know you and seeing what you are reading. I will join. I am Danish but I have lived in Scotland at least 6 years on and off. I am a bit behind in my blogging just now so it will most likely be December before I get at sign up post done. Great Jane! I'm looking forward to meeting all these new people including you! Good Luck, Marny! Glad to have you onboard! Carolyn I'll be joining up in your Mystery theme! Thanks! Julie, I read so many Scottish authors now that's why I thought it would be a good challenge:) I love the mysteries and 'tartan noir'! I will be following your Pinterest board too! That mural on Molly's wall is absolutely gorgeous! Did you paint it? I'm planning a trip to Scotland sometime in the future and can't wait! So many authors that I love...have to take "the Hebridean"! Great, Theresa! So glad you joined. Looking forward to seeing what you read! Hi to Peggy and my DES friends and others. I've never signed up for a challenge before and will do the Ben Nevis (what the heck). I would like to know more names of Scottish women writers - not gruesome crime, but do like a bit of suspense ala Kate Morton. What a great idea! I've shared this post on my FB author page as I'm sure some of my readers will want to join in. Thanks so much, Linda! I'm really excited to get reading! Wonderful idea! I'm in for the Ben Nevis level. I'll come by and add my link later today, once my sign-up post goes up. Claire, I'm so glad to have you climbing that mountain with me! Thanks, Lisa! Sounds like a great read. I'll be looking for it. I keep seeing this wonderful challenge of friends' blogs and I simply can't resist it. I'll write a post and link to it later, but my plan is to read books by Scottish women writers. And I'll aim for the Highlander, since I grew up there! So glad to have you with us, Jodie! Just women authors is a nice touch! Maybe next year we can do categories too or something! I am signing up too - The Highlander level. I'm so excited! I'm working my way through the M.C. Beaton Hamish McBeth series, so this fits in perfectly. 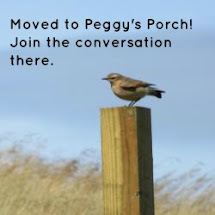 Thanks for hosting this, Peggy Ann! A very late comer.....The Highlander level. Just read Alexander McCall Smith's "The Forever Girl". Welcome, Kirk! There's still lots of year left to read in! Would love to join in. I know I'm a little late, but can catch up. I'm going for the Just A Keek level. Have a great day! I had an eye on this challenge ever since the November and the time has come to join in. I'm aiming for the Highlander because I like the sound of the word - not a very good reason, I admit. This should be a delightful journey! Glad to have you along! I added a link up to your blog! I've been enjoying this lovely challenge so much! I'm upgrading to Ben Nevis as I've just finished my 11th book. Have to admit I've never climbed Ben Nevis, and am never likely to now, but I've been past it many times on my way to the Western Highlands. I'm sticking to my self-imposed "extra" for the challenge, and only counting books by women towards it. I've set up a Pinterest board too, called Read Scotland 2014. Glad your upgrading, Jodi! There are so many great Scottish authors. I'll look for your Pinterest board! This is great. I think I've liked, sometimes loved, every book I've read written by a Scottish author or set in Scotland. As of now, I'm in the midst of Denise Mina's latest "The Red Road," and am bound to read more books by Scottish authors. A few are on my TBR stack. Kate Atkinson doesn't seem to be on lists, but she is a great writer and her newest book "Life After Life" is stirring up discussions all over the blogosphere. I just found out about this challenge and website. I don't think I'll join the challenge, as I'm already committed to an ambitious one, but I will read more books set in Scotland and more by its authors. Kathy, I'm glad you found us! There are so many great Scottish authors. I did see Kate Atkinson on a list of Scottish authors in an article in the Guardian I believe. There is debate over whether writers who were not born in Scotland but living there now should be considered Scottish. For the sake of the challenge I decided to go with by birth or immigration. She was born in England and lives in Scotland now. I plan on doing the challenge again next year so you can join in then! I have Denise Mina's Garnet Hill on my shelf to read this year! Denise Mina has written three series. Garnethill's trilogy is a favorite of mine and so many other readers. Then there was her Paddy Meehan trilogy, which was OK. She seems to have picked up a lot of steam with her Alex Morrow series about a Glasgow police detective who is a tough, smart woman. The End of the Wasp Season is quite a book, more of a psychological/suspense thriller. Gods and Beasts is the next one, and now The Red Road. What can I say about that? It's a mind-blowing book with a few plotlines; one is devastating about the impact of abuse of children. Some of the writing is incredible. I am a fan of Diana Gabaldon's "Outlander " series, having read-or rather listened to -them many times over. This week I got the eighth in the series "Written In My Own Heart's Blood" and am off and running to listen to it. Click image to be transported! Delicious Places to Hang Out At! I love it! You might too!